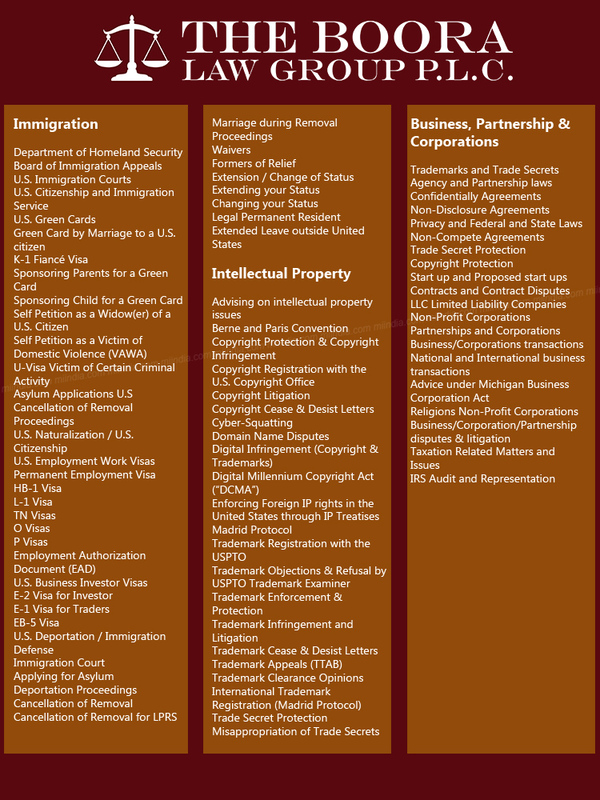 The Boora Law Group, P.L.C. If you need legal advice or assistance, contact our office to discuss your personal needs, and how best we can serve you or call to make an appointment for a legal consultation or visit our website for more information. 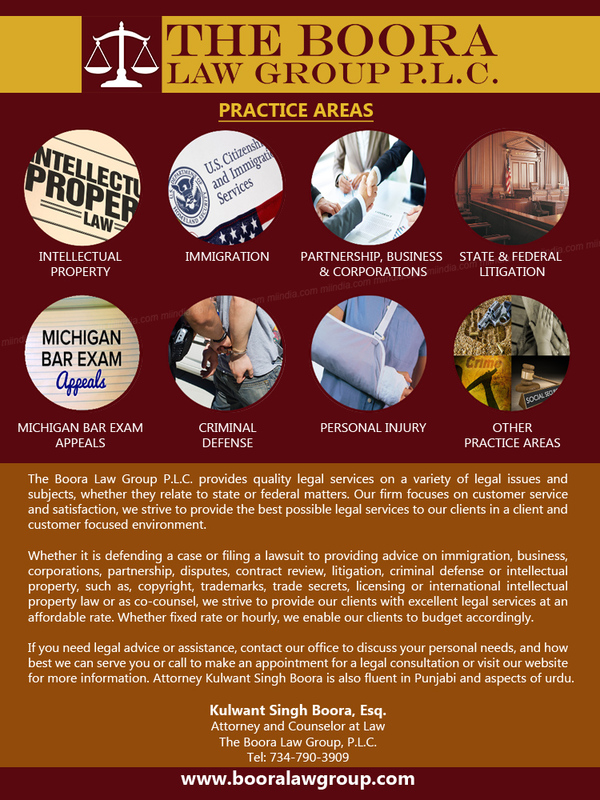 Attorney Kulwant Singh Boora is also fluent in Punjabi and aspects of urdu.